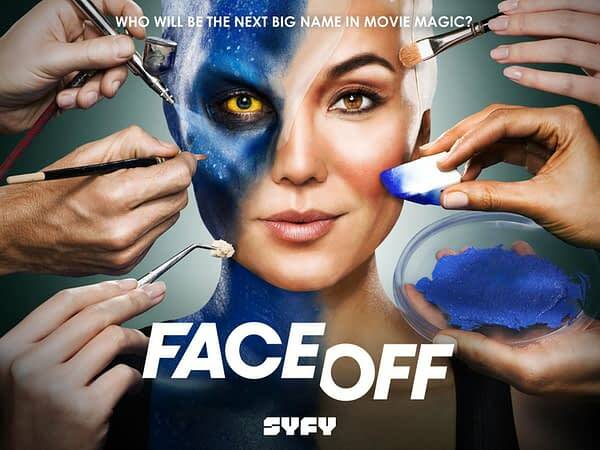 SYFY renewed competition series Face Off for a 13th season back in January, but it seems like an uncertain future after that. The 13th season is set to air on June 5th on the cable channel, along with returning host McKenzie Westmore, who has been with the series since day one. Her family ties to the world of cinema makeup are vast and generational, the Westmore family having been involved in Hollywood since 1917. She’s said in a series of tweets posted late Friday night that her family has come together during the show’s time on the air, and she’s not ready for it to end. MissionControl Media, who produce the series, announced the official release date of the 13th season. McKenzie then posted on her instagram this post, stating that the season will be the last. Fan reception was quick. MissionControl urged fans to send any/all feedback to SyFy directly. She also shared this petition, urging fans to help bring back Face Off on SYFY.